Btw I have attained 19-20 km on the same car as well. Nice :). You have the manual transmission though. What was your speed range? What about the oil viscocity? I kept the speed between 80-110, even going to 130 for a couple of minutes. The car had 20w-50 oil. 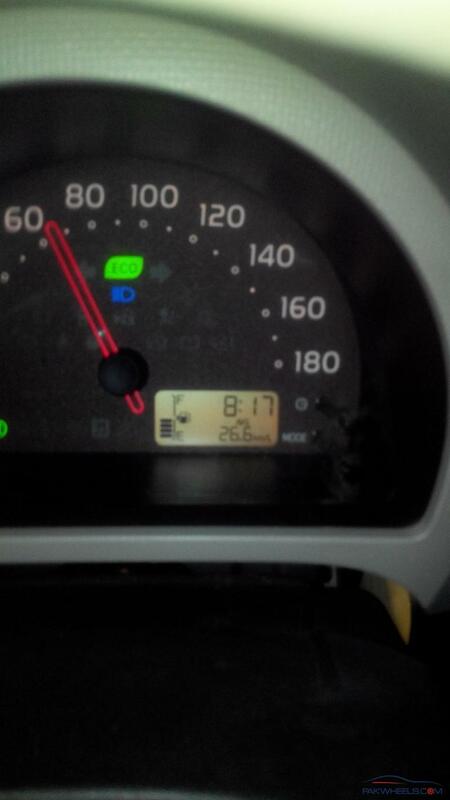 i've Toyota Passo 2012 Hana recently bought and its giving me constantly 19 to 20 km/l on every full tank. But i got my best average on GT road few days ago of 26.6 km/l for a 50km ride. Which zic oil is best for my honda city 2001 for good mileage on petrol as well as cng. Experts please answer..
Zic M 15w-40 SJ would be an improvement over a SAE 50 weight oil. Toyota (or any other) 10w 30 SL would be even better, and within spec for that engine. If you are not picky about ZDDP content, Zic OW or Shell Helix Ultra will be the best. Edit: Strike the last paragraph. OW or Ultra are overkill for 3k-5k oil change intervals. these depends if you change your gears on time or not lol... and these are only petrol odo! Do you use hypermiling? I am not talking about amateur "change gear early" hypermiling. I am talking about a full DWB, P&G, and FAS routine with a proper setup, i.e. 0w-30 synthetic, 75w-80 gear oil, and 44-60 psi tire pressures. Your car should be in top notch condition as well. These results are impossible otherwise. Please check whether your car is not burning petrol and CNG at the same time. Also, tell us whether your carburetor is stock or not. If not, then either your odometer is out of calibration, or you are reading it wrong. If possible, check the results again with a GPS maps app. BTW, 800 km is more than half the distance from Karachi to Islamabad. No car that follows the laws of physics can do that journey in less than 2 tanks of CNG.